Mothers Day is important. Whether you regard it as a commercial excuse to buy chocolate and flowers, or not. We don't appreciate our mums enough. One day of the year is not going to kill us to splash out on a little something to show we care. However, are you looking for something that's a little bit different, wanting to steer away from the same year, after year, same old flowers and chocolate regime? As wonderful as they are, if you feel you want to go that extra mile I have something that might help. 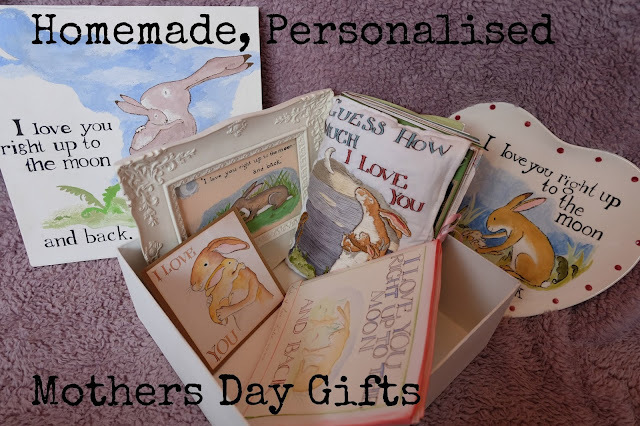 Ever since I was a little girl, I would ask my Mum what is was she wanted for Mothers Day, and she replied 'Make me something, I love it when you make me things.' So every year since then, I have put at least a month of planning and effort into a thoughtful, homemade gift. Make a Scrap Book of your childhood memories surrounding your Mum, I did this for my Mum for Christmas and she LOVED it! There are lots of little things we remember as children and its lovely for your Mum to know the little things you remember - I was convinced my Mum was a secret pop star for years, and would never say I disliked a song for fear of it being one she'd written or sung... I had never ever told her that, and she laughed herself silly when she read it! Include some old photographs along with your memories and give her a gift she will truly treasure. Homemade cards go down a treat, you can personalise it using photographs, sayings and if you're real cleaver - a little poem of appreciation! If you aren't naturally arty - why not check out online card making services such as MoonPig, you can use their templates but can still add that personal touch. We go to a lovely little Arts and Crafts retreat call 'This Art of Mine' , we tend to spend the day there and we pick a piece of pottery to paint - and sit there for hours on end finishing it. I did a plate for my Mum a few years ago, based on our favourite story 'Guess How Much I Love You', its a thoughtful, practical little gift. Mugs and Coffee cups are good choice to go for too. I did this for Christmas this year - and she hasn't taken it off since. Not On The High Street is brilliant for these sorts of personalised gifts. I got my Mum a silver necklace with three rings, one for each of her children, myself and my brother and sisters' names engraved on them. Here's one for you Bakers. Get in the kitchen and rustle up a heavenly chocolate cake, or a spongey Victoria! Use some writing icing to tell her how much she means to you, or to simply wish her a Happy Mothers Day! Get creative and produce her a master piece! Yes, its commercial and you don't need to have one day to tell her you love and appreciate all she's ever done for you - but we get so busy and caught up with other things, we forget. So use this as an opportunity and get thoughtful.